UPHILL. BAREFOOT. IN THE SNOW. BOTH WAYS. Happy Blogo-birthday. Another year older, another year wiser. 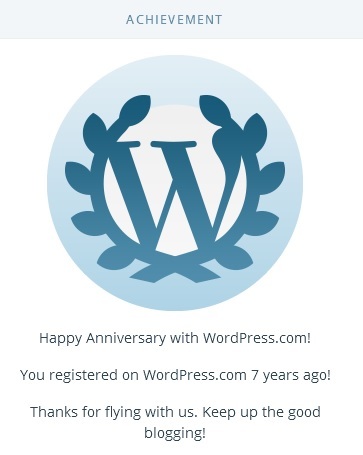 Another 11 years and your blog can legally vote in the US. Happy Stylish Corpse Anniversary Appreciation Day! Here’s to the next 7! BTW, CoW still does exist. The clan is still there is Fallen Earth and Rift. Not sure about elsewhere. Good to know – I figured it must be active somewhere, but the original forums have been… changed, lol. Seven years! Congratulations, big time. Happy birthday and early October birthday! I ve still be logging in every day slowly leveling my pre-80 characters using the weekly experience scrolls they give out. Seeing I have 4 characters that were sitting at level 20 from previous birthday boost, I was more than happy to bump them all up to 30 to save myself a few weeks of time.